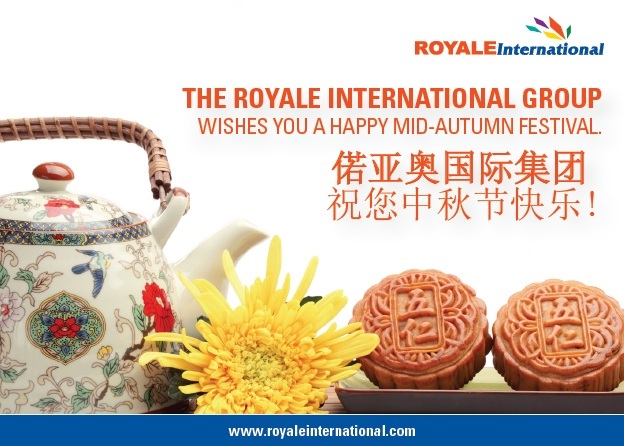 The Royale International Group wishes you a Happy Mid-Autumn Festival! The Mid-Autumn Festival is one of the most important holidays in the Chinese calendar. Traditionally, family and friends would gather in the evening to celebrate, enjoy the festive fruits and mooncakes. 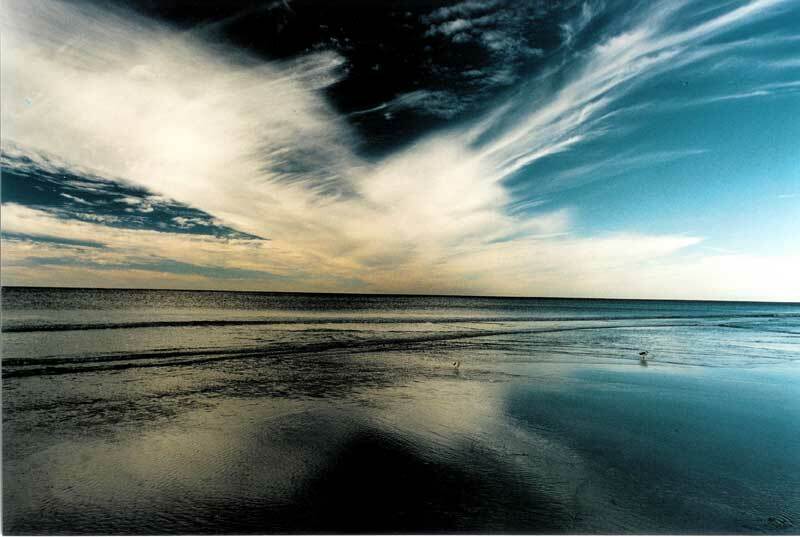 After dinner, they would go to public spaces such as the beach or park, for 'appreciation of the moon'. It may also be an opportunity to have a barbecue. Matchmaking. In some parts of China, dances are held for young men and women to find partners. "One by one, young women are encouraged to throw their handkerchiefs to the crowd. The young man who catches and returns the handkerchief has a chance of romance." Burning incense in reverence to deities, including Chang'e. The Moon Rabbit is a traditional icon. When choosing a 3rd party warehouse partner it’s important to enter into the process with your eyes wide open. While many companies may appear to have generous amounts of room available at affordable prices you may find their actual processes are lacking. Therefore don’t be afraid to ask some questions to ensure the deal you are receiving really is going to be beneficial, and cost effective. What is the step by step process in the inventory cycle? It’s useful to be aware of how your order will be collected, stored, managed and shipped. Also ask if there is an easy to use management system that will keep you fully informed at all times. What technology is being used to streamline the service and make things easier for you? Can you make arrangements online? Is it possible to track and trace using email, the Internet or via SMS? Are the employees responsible for the various processes fully trained? How much storage space is available? If your business continues to grow will the third party warehouse have the capabilities to cope with the increase in stock? Finally look inside your own business and decide how much you can save by switching to using a Warehouse and Distribution service. Consider the improved production rates and reduce injury costs. How will their process help improve our production schedule? For more information regarding warehouse services contact the Royale International Group by emailing inquiries@royaleinternational.com. Placing an order with an international courier is easy. You need to provide a little information and your order will be collected and shipped to its destination without any other demands on you. Throughout this process you can keep up to date with the journey using online trace and tracking so you know when your item is delivered successfully. It’s simple and takes very little effort. However, the process behind the scenes is a little more complicated. When you place an order the journey needs to be planned out. When international couriers use point to point deliveries this is even more important. Point to point deliveries don’t use distribution hubs and therefore your order is picked up and taken directly on route to its destination. Once the route has been established the couriers will then locate your pick up point and collect the item on time. The method of transportation could include one or more types of vehicles. Domestic deliveries can be delivered by road or a combination or road and rail. International shipments could be transported using road, rail ship or air. To reduce the amount of fuels being used in all orders couriers will try and ensure the most direct and cost effective transportation is used. The complicated procedures are left to the experts, leaving you with one concern, ensuring you receive excellent customer service. Your couriers will be able to help you with all parts of the process that you may have concerns over such as customs and invoices. If you require any information simply call the office for assistance. Looking to save money? In the global recession most of us are. When it comes to international logistics you may think you have limited opportunities to cutting costs. Your customers need their goods delivered and shipping yourself just isn’t an option for most companies. 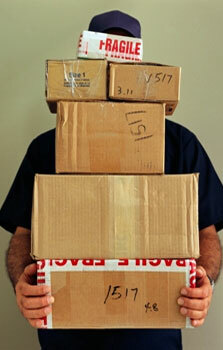 All is not lost, there is a way to save money and that is by switching to bulk shipping. Talk to your couriers and check to see if they offer the bulk shipment offer. 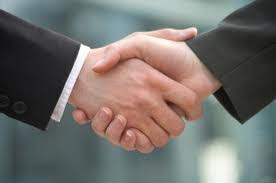 It is always beneficial to work closely with your couriers and treat them like a partner. The better they are at maintaining excellent customer service to you, the more beneficial they will be at ensuring your customer service remains excellent too. Discuss your need to reduce costs and ask about the options that are readily available to you. Your provider should be more than willing to help you come to a great solution. Ask about the costs and do your maths. You may find that there are multiple companies offering various bulk shipment packages. Weigh up the cost of the service, the time it takes to ship and any additional problems it may cause you. Will your couriers be able to ensure your shipments arrive within the time available? Have you found the best price for the level of service you’ll receive? Are there any frequent or permanent special offers that will suit your business? Read your invoices and stay on top of any online management facilities provided by your carrier. It’s always good to know where your money is going so remember to check to see what you’ve been charged for. If you ever have any concerns always contact your carrier and they should be more than willing to help you with any queries you have. If you are looking for a company to transport your goods quickly and cost effectively email our team of friendly advisors at inquiries@royaleinternational.com. 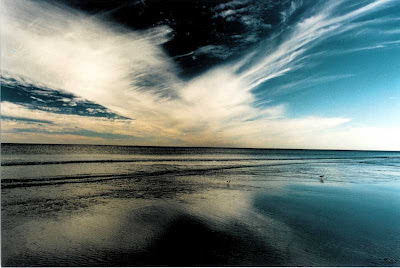 We care about the environment and are constantly working to reduce the impact we have on it. 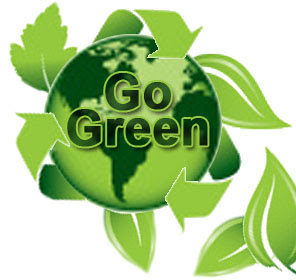 All businesses have a duty to ensure they are managing their environmental impacts. The advantages are not only helping to reduce the size of your companies carbon dioxide foot print. You can also save yourself time and money. One of the ways we try to cut down our waste is by providing a point to point international courier service to all our customers. By doing so the amount of fuel required for each shipment is dramatically reduced. When our customers ask us how they can also help to reduce the impact caused through logistics we offer this advice; switch to reusables. We all have to do our bit for the environment, especially within logistics which is a major contributor to greenhouses gases when not managed effectively. Reverse logistics is a service that allows the flow of goods that have been returned by your customers. Using this service your customers can return any item they want using the same international couriers service used to ensure they received the goods on time. They may need to be tested to check for faults, sent for repairs, disposed of correctly or restocked for a future sale. The couriers will handle the packages and ensure they are processed correctly. Why Choose Reverse Logistics for Your Business? By using the reverse logistics service you can ensure that the customer will receive the best possible service. Customers who may be feeling unhappy with the product will receive a timely service aimed at improving their shopping experience. A replacement, repaired item of refund can be issued quickly and these steps play an important role in customer satisfaction. 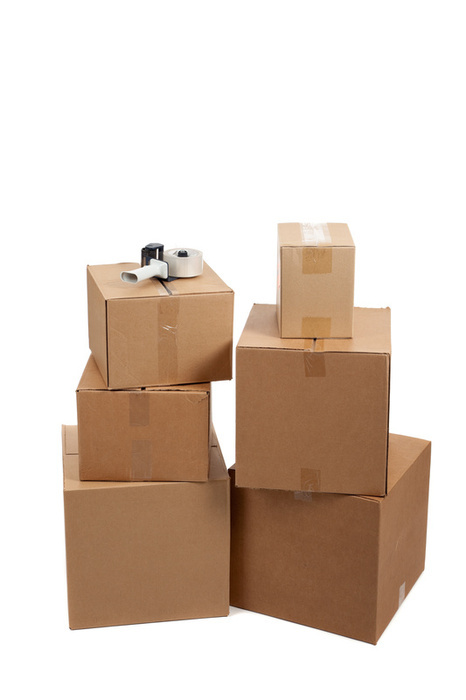 Without opting for a reverse service there is the chance of boxes being lost and even scrapped. Customers are left in limbo while the package sits in a warehouse waiting to be discovered by the warehouse manager or quality control. A package stored in a warehouse like this also causes problems for the logistics company as it takes up valuable space. Finally it also causes problems your end as you have an unhappy customer and also missing stock that could potentially be resold or turned back into profit for your company. We provide reverse logistics to our customers here at the Royale International Group. We are able to apply our fully customisable solutions to ensure your returns are processed correctly. If you would like a free quote on our international logistics services just give us a call on our free, 24-hour hotline: +852 2218 5888. One of our customers had an urgent meeting with a buyer and needed samples for this meeting. The samples came from Hong Kong and were high value, pending customs clearance. Our customs team and I monitored the shipment from when it left Hong Kong until it reached South Africa and pulled out all the stops to have it cleared by customs. I had specially arranged a driver to collect the samples from us and deliver them directly to the client - into their hands at the meeting. If not for our swift action, the client would have lost a massive account and was extremely happy with everyone involved. Spending time with my family and watching a good movie. Collecting movies. Taxis – they think they own the road and are the major cause of traffic accidents in our country. I also dislike it when people don’t follow through on their promises or if they talk behind your back – if you have something to say, say it to my face. "A movement of the mind moves more than you can imagine." Dealing with people of different nationalities worldwide as well as seeing some of the work that the Royale International Group does and being involved with it. In the past the postal system was far more inconvenient. The first couriers thought to have existed dates back to around 2400BC. This is when the Pharaohs were believed to have used couriers to send their decrees across the territory of the state. However, it is not until much later when more credible claims of the invention of the more formal postal system can be found. It is believed that in 500 BC the Persian King Cyrus the Great invented the first system, although some people believe that it was his successor, Darius I of Persia who deserves the credit. This system was a series of stations where couriers would ride to the next post in order to deliver mail. At each of the stops the couriers were able to change his horse to ensure that the maximum speed was achieved. The first more recognised postal service used for delivery letters and documents is thought to have been started in 1653 in Paris. De Valayer was able to set up a series of mail boxes for the public to place their letters. De Valayer would check the boxes and post any of the letters that were posted provided they had the address on the front. However this system failed pretty quickly after one of his enemies decided to scupper his business and placed mice inside the boxes that ate all of the contents. These days our courier and postal systems are far more advanced than ever before. Mail is no longer restricted to the speed of men on foot or by horses. 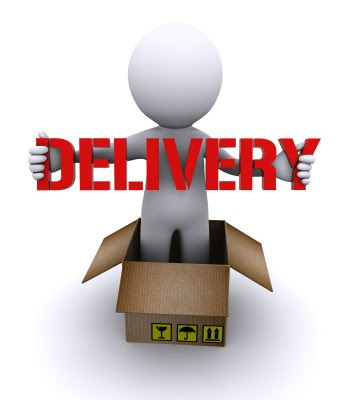 We are able to provide multiple ways to deliver your orders, be they documents or bulk shipments. If you would like to use any of our international courier services please send an email to: inquiries@royaleinternational.com. Over time the use of couriers limited by using horses or on foot have been replaced by ground breaking technology. 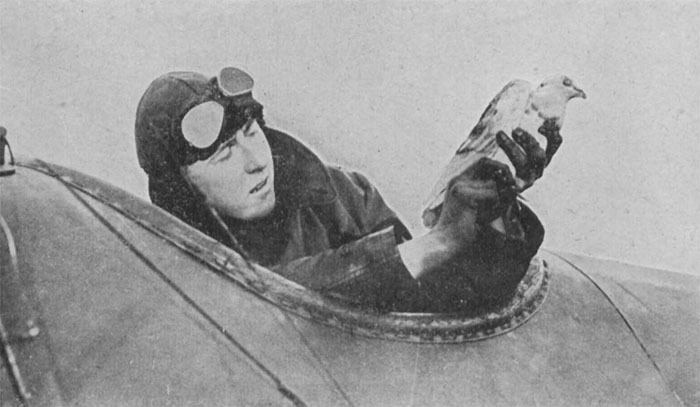 Gone too are the days of the homing pigeon. Post no longer was restricted to wagons and horseback, and this meant that the time it took to send and receive letter was slowly reduced. The world became a smaller place and the feet of messengers were saved from the punishment that came with running miles in order to make sure the recipients received their mail. In the Early 19th Century the Pony Express was responsible for delivering mail in the United States. A system was created involving wagons and horses however it wasn’t easy. 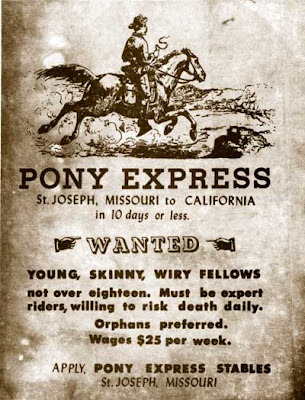 The wagon trains often suffered with horrible diseases, pestilence and great hunger. Sometimes they were ambushed and robbed too. It wasn’t an easy life. These days’ international couriers are able to make the world even smaller still by providing multiple ways of delivering goods and documents in hours rather than weeks. Here at the Royale International Group we are able to provide same day deliveries, overnight deliveries and even next flight out services that will see your order out on the next suitable plane to make sure it is able to reach its destination on time. We don’t use pigeons or horses. Now couriers use vans and trucks, boats and ships, trains and planes. We work around the clock giving our customers access to our extensive courier network that spans the world. It’s amazing to see how far couriers have come. Now thanks to the Internet we are able to improve our services further by offering clear transparency of data and live online tracking so all our customers can see where their order is in the world, at any time. We all take envelopes for granted since they are a convenient way of securing our letters and documents. We are able to mark the destination on the front, add a stamp and post the letter to go anywhere in the world. It’s a bit strange to think of times when this system wasn’t used, but it really wasn’t that long ago. Back in 2000 B.C Babylonians wrapped up their documents that were recorded on tablets in clay wrappers. The clay was manipulated around the item to be sent and then baked. The use of clay was clever as the only way to get into the package was to smash it meaning it was very easy to see if the box had been tampered with. When the Penny Black stamp was introduced in 1840 an envelope was also launched known as a Mulready. This was in fact a letter sheet rather than an envelope but they weren’t popular and within two months the idea was scrapped. In 1845 the first ever envelope making machine was patented by Edwon Hill and Warren De La Rue. The envelopes were diamond shaped sheets of paper that were fed into the machine to be creased and folded ready to be used. The flaps were secured using a paste and once the letter had been placed inside a wax seal would secure the top flap. Fifty years went by before the creation of an envelope machine that could produce pre gummed envelopes. These days we use paper and polythene envelopes as well as cardboard boxes for small and large items that require added protection. We are happy to supply packaging materials to our Royale International Group customers. If you would like to place your order please email inquiries@royaleinternational.com. Adhesive stamps were not invented until the 19th Century, so what was used before? Henry Bishop invented the first types of postmarks. Ink or hand stamps were put on the envelopes and they detailed the date that the letter was mailed. This system was first used in the London General Post Mark back in 1661, and the stamp was called the Bishop Mark. It wasn't until a schoolmaster named Rowland Hill invented the adhesive stamp that things began to change. 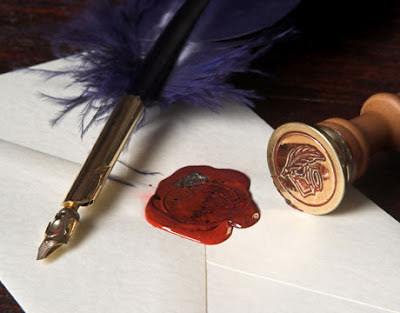 Along with the stamp, which won him a knighthood, Rowland Hill also decided that uniform postage rates should be determined by the weight of the letter or parcel rather than the size. With his new rates and adhesive stamps it was possible to organise the successful prepayment of mail for posting and it simplified the process greatly. In 1840 the first ever stamp was issued. 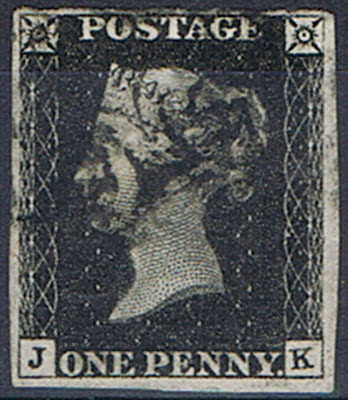 Stamp collectors desire the Penny Black greatly as it is extremely rare. On the stamp is an image of Queen Victoria’s head on a black background and it cost one penny, hence the name. There were 68 million Penny Blacks produced in one year until the Penny Black was replaced by the Penny Red. The introduction of the stamp saw a much safer and efficient way to organise the sending of mail. These days international couriers have made use of the best technological advances to further streamline mailing letters and packages all over the world. We saw an interesting video on the different of logistics method available out there, today. These strong and determined individuals beat the odds and will make sure all their deliveries arrive where they need to be. Forget the need for fleets of modern vans with GPS, or flights heading out all over the world at any time of the night or day. These couriers turn up their noses at packaging and protection for their goods just to deliver their shipment. Take a look, we think you’ll be very impressed… gobsmacked even! Much like these talented individuals, we understand the importance of delivering your package and will go through thick and thin to deliver your package on time but we would never dream of carrying the body of a car on a bicycle on the busy streets and sacrificing the safety of your shipment. Our methods involve packing materials, strong boxes and the strength and determination of our trained international couriers. If you need your goods delivered, you don’t need risk your package to deliver it to the right place, at the right time, just call in the experts. Meeting a client’s deadline and requirements makes me feel satisfied about my work. Although we work for different teams, my colleagues are still very helpful if I encounter any difficulties handling inquires. For urgent cases, even in other department, our colleagues always give a helping hand immediately. Watching Korean TV programs and going to the beach - I enjoy the sunshine and having fun with friends. I hate rain... If I'm on holiday it gets me in a bad mood and I won’t want to go out. "Time is limited, enjoy our life for every moment." My colleagues are very kind and helpful, and there are always gatherings after work! We have a very strong bond! Accorded to the final leg of the BBC Box Project Brazil is now sending out 15% fewer shipments via sea freight. Brazil is the world’s biggest exporter of food commodities such as coffee, orange juice and beef and therefore there is a need for logistics to ensure these vital products reach their destinations all over the world. At the Royale International Group our job is to provide cost effective and efficient ways of transporting goods. We provide multiple services to fill the demand, one of which is the use of air freight. Air freight is more cost effective than ever and the time it takes to transport goods is much faster compared with shipping over water. Once the goods have landed we are able to continue their journey by road and deliver the goods by hand to ensure that the time is reduced by eliminating the need to store items in a distribution centre before they continue on their journey. Our point-to-point deliveries have helped many businesses avoid long delays in getting the products they need. Whether you are importing or exporting goods we are able to help you with our international courier service whether shipping in bulk or individual supplies. If you are looking for an efficient third party courier email us at inquiries@royaleinternational.com and we will work out the perfect solutions for your business. Businesses have to find ways of saving money and making profit. When the global economy is suffering, it can be difficult to buy cheap and sell at a price that customers can afford. One of the ways that companies are doing this is by purchasing goods made in China and using international couriers to ship them to their warehouses and stores all over the world. 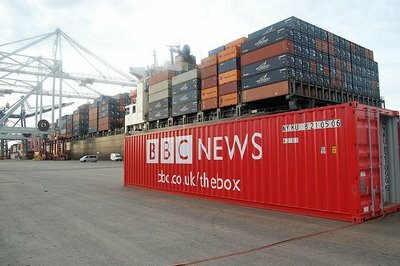 During the BBC Box Project this trend was highlighted as the container travelled from China to the USA. The container was filled with all sorts of household goods to be sold at a large chain with more than 1,300 stores. The journey involved sailing over some treacherous waters where pirates and typhoons are common problems. The risk of pirates intercepting cargo ships that are travelling through Samalia is a concern for all sea freight vessels. 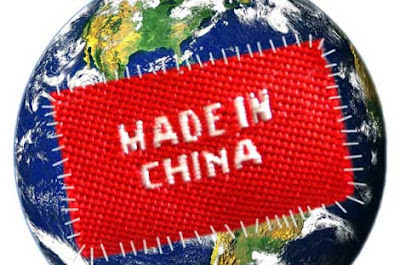 The low cost of the goods bought from China and the use of third party international logistics still makes buying merchandise more affordable for businesses in America, Europe and all over the world. The Royale International Group have excellent routes available heading out from China to the rest of the world. If you would like to find out more about having your orders shipped with the help of our air freight courier services please email our representatives at inquiries@royaleinternational.com. How Are Your Goods Delivered? Many businesses rely on international logistics and yet are unsure of all the work involved behind the scenes. Here at Royale International Group we don’t like our customers to worry about the process. It’s our job to make sure your goods are delivered on time and without any problems from point A to point B, wherever that might be. If you have ever wondered exactly what a typical journey may involve let us give you an insight. For our example, we are going to focus on one of the journeys made by the BBC Box project that we have been focusing on all week. While delivering goods made in China the container was first loaded onto a large cargo ship. The ship travelled over the Pacific Ocean all the way to the coast of California to the port of Los Angeles. The port of Los Angeles plays a huge role in goods being imported from the Asian market and sold to consumers in the USA. 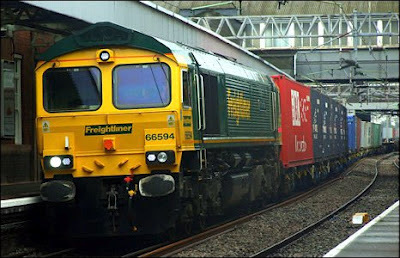 After being cleared through customs the goods will then continue on their journey after being transferred onto a train. The container heads to New Jersey and a distribution centre. The goods are then transported on the final leg of their journey by truck to stores that will be selling the items to the public. At the Royale International Group we take the pain out of organising your deliveries. Let us know when you want the order collected and where and when it needs to be delivered and leave the rest with us. In a typical year a cargo container can travel thousands of miles and carry all sorts of different goods. At Royale International Group we have many different requests each day from businesses all over the world. Some companies have paper documents and marketing materials that need to be shipped, others ask for massive bulk shipments to be sent by air to their customers on the other side of the world. The variety of shipments and requests made us think about the typical journeys that are undertaken by international logistics. To give you an example we have used the BBC Box project. During a period of just over one year the BBC commissioned a container and monitored its voyages over the world. Within 421 days the BBC Box travelled an impressive 51, 654 miles. It was used to move Whisky from Scotland to Singapore, household goods from China to the United States of America and food goods from Brazil to Japan. The journey of the goods consisted of travel by water, by road and by train and equalled just over two laps of the Earth. International logistics is required to ensure essential goods and materials are moved from one part of the world to another. The way the goods are transported depends upon timescale, the size of the shipments and the requirements of the businesses and organisations that use these services. If you would like to learn about how we can help you with your international logistics please contact us by emailing our team at inquiries@royaleinternational.com. At the Royale International Group, we have always had a strong passion for sports and our community. In the previous years, we had sponsored teams such as the Yau Yee Football League and more recently, we have become the Anchor sponsor for the Legal League. Football and community are both a shared passions of ours, so you can imagine how much we are looking forward to the 2012-13 season and to be a part of the local sport community here in Hong Kong. What is the Legal League? The Legal League Hong Kong is a non-profit organization that was founded in 1992. Each week, together with 23 social teams in the Legal League, they compete against one another to make it to the top of the table. Money raised by Legal League Hong Kong goes toward supporting the Hong Kong Dog Rescue (HKDR) who receives no monetary supports from the local Government. HKDR is a charity dedicated in rescuing abandoned dogs and their work involves in the rehabilitation of unloved and homeless dogs. Why are the Royale International Group Involved? "The Royale International Group has been a long time supporter of community sports," says Scott Morson, Regional General Manager. "We recognize that sport is a unifying force that bring a good social and cultural benefits to our society. It also brings a strong sense of tradition, team spirit and community. We are pleased to be sponsoring Legal League Hong Kong and help raise awareness of the HKDR." Latest updates on the Legal League and promotions will be available on our community page. One of the most frustrating problems businesses have with shipped freight is time. You have to take into consideration the time that the cargo ship carrying your goods will take to arrive at the destination. A project by the BBC, known as BBC Box, highlighted this problem in their first article. They commissioned their own container that was filled with 15,000 of scotch in Scotland. The cargo ship then took approximately one month to arrive at the Yangshan Port in Singapore. Once the container was unloaded the goods then faced a further delay of up to two weeks. This delay was caused by customs and it affects all of the goods that arrive in the port and others like it all over the world. Customs will spend a couple of weeks checking all the paper work is in place and ensuring all the duty and taxes have been paid before allowing the goods to continue their journey. If you have bulk shipments we can help speed up the process. We offer cost effective air freight international deliveries here at the Royale International Group. The shipments arrive at their destination quicker than via sea meaning your goods are not left in limbo for weeks at a time. I don’t really remember once case in particular, however I do provide value to the company, colleagues and different departments in many ways during my regular every day shift and after hours. I do like to provide I high level of trust between me and my customers as I like to build strong relationships with them. I really enjoy outdoor activities whether is going for a walk, playing any sports, going for a hike, etc... although I also enjoy spend some time at home and relax from the nonstop Hong Kong life. I will be a father soon so my new favourite activity will be just that - being a father! Taxi drivers really annoy me - I hate that they don’t know how to maintain one speed, so when you are in the back seat you are constantly moving back and forward as the driver pushes the gas pedal several times, even over a short distance. “Individual commitment to a group effort – that is what makes a team work, a company work, a society work, a civilization work.” - Vince Lombardi. I like the multicultural environment that Royale provide to their employees, offering a very relaxed atmosphere. This week we have been focusing on how to open and run your own online shop. In the final instalment we want to talk about how we can help you by becoming your logistic partner. We work with many companies offering multiple types of products to their customers all over the world and here is how Royale International can help you too. Warehouse and distribution services provided solve problems such as where to store your stock, keeping track of the inventory cycle, picking and packing and paperwork. This service benefits online shop owners by freeing up time usually sent working on dispatches, saving money on hiring warehouse staff, packers and delivery drivers and providing a clear and understandable online inventory management system for your own records and information. International couriers such as ourselves have access and the means to transport goods all over the world. We help to save money, due to our affordable air freight for large bulky orders and we offer a variety of options such as weekend deliveries, next day shipping and domestic services. Printed materials such as catalogues, brochures and special offer leaflets are a great way of drumming up new business. With our distribution service it’s possible to arrange quick and reoccurring distributions of such materials to any destination. We offer a variety of ways for you to track all of your shipments and this helps you to provide excellent customer service. Your customers and you will be able to ensure receiving their orders at home simply by looking online and tracking the real time location of their order, any time of the night and day. We have extensive logistics knowledge of China unlike many of our competitors. China offers a huge marketing and growth potential to those running an online shop. If you are interested in expanding we can help to ensure your deliveries arrive safely, securely and on time thanks to our extensive network throughout Asia and China. If you would like to welcome us on board as your third party international logistics partner we will be happy to accommodate your own specific needs. To find out more about all of our services for online shops and businesses please send us an email to inquiries@royaleinternational.com. Now your online store is up and running it’s time to think about expansion. One of the ways to increase the amount of profit you are able to make is to widen your market. 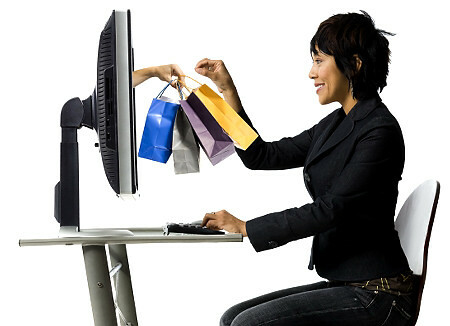 The amazing thing about online shops is the fact that you have the potential to reach an international market. With more countries added to your shipping range comes the opportunity to reach a lot more customers. Consider adding the option to translate your website into various languages. Many of the hosted ecommerce websites now offer this feature and it’s a useful one to include. With a click of a button all of the written content can be translated into your chosen languages and customers from all over the world will be able to navigate your website, and find their perfect products with complete ease and full understanding. Let your customers know where you are happy to send their orders. If you don’t provide this information many people may assume that you only deliver to the country where you’re based and you could miss out on a lot of profit. Make it clear where you deliver by adding an information box on your pages and include the information in your FAQ section. You’ll need to work out the best method of shipping your goods internationally. One of the most cost effective and reliable methods is to partner up with international couriers. This will provide you with the ability to target the world and you can leave the logistic details to the experts who will work alongside you to ensure your customers receive the goods they want no matter where in the world they are based. Provide accurate facts regarding shipping costs to each country. If you’re using an international courier you will be able to discover the costs and work out how much you’ll need to charge your customers based on their location. Use a bank and payment system that accepts different currencies. You may have customers paying in dollars or pounds or even the Euro. You will need to be able to convert the money and accept payments from all over the world. Once you are set up the world is your limit. You may eventually wish to consider hiring warehouse space and international logistic services in the countries where you make the most sales, so talk to your international couriers to discover if there are warehouses available in your top locations. Tomorrow is our final instalment in this series. We will be focusing on the benefits of choosing the right third party logistics partner when opening your online shop. In the third instalment of our guide to set up your own online shop, we are going to look at the importance of customer service. It’s vital that you make an excellent impression to firstly make a sale and secondly to ensure your customer comes back for more. Providing a website that can be easily navigated is the first step. Make sure you have a site that is appealing to the eye and full of all the information a potential customer may want to know. 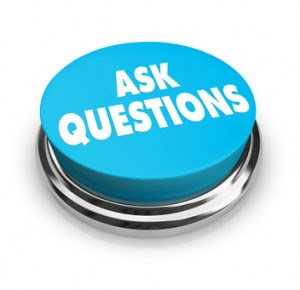 It’s a good idea to create a FAQ page and include information such as delivery costs, shipping areas, expected delivery times, your returns policy and payment options. Don’t make any promises you can’t keep. If you have told your customers their order will be shipped within one or two days from placing the order you will need to achieve this no matter what. The last thing you want is disappointed consumers, as they will never head back to your store if they have been left wanting. You might be able to keep up with fast orders in the early days and send out products on the same day; however will you be able to keep this up as business increases? If you’re working on your own could you really ship hundreds of items in one day? Provide simple ways for your customers to get in touch with you. On your website include information such as an email address and telephone number and include them on every page. When a customer contacts you always remember to be polite and helpful and aim to respond within 24 hours. These days you can also provide customer service using social media websites so create a business page on Facebook and create a Twitter profile and include links to these on your online shop. Be prepared to provide plenty of information. On your listings include as much information as you have available about the products. Think about colours, sizes, materials, costs, place of manufacture, and weight. When a customer has purchased an item set up your emails to send a confirmation of purchase and a distribution notice so they know their items are on their way. It’s also an excellent idea to provide online tracking information, this is possible if you use a third party international logistics service provider. Return tomorrow to Learn about how to increase your global reach in the forth instalment in our Guide to Setting up Your Online shop. In our last blog post we talked about how to get your online shop up and running. Today the focus is on your stock and shipping to your customers. In the early days you might be able to get away with running your business from your home and using the spare bedroom or dining room as a warehouse. However, as your sales pick up you will soon find that your home is overrun with boxes of products and an abundance of packing materials. When you have your own shop it’s important to make sure everything runs as smoothly as possible, for you and for your customers. Once an order is placed the last thing you want to do is spend two hours looking for the product, the next thirty minutes creating the printed invoices, custom forms and sorting out the labels for the package, another twenty minutes wrapping and packing and then driving to the post office to send it out for delivery. When you make one or two sales a day that might be fine but imaging the chaos that would erupt when those small sales turn into hundreds or even thousands each week. You need to be organised and this is where teaming up with a third party international logistics firm will benefit you greatly. It’s possible to have all of your stock stored at their warehouses. This eliminates the concern over space in your home and the additional costs involved in finding and staffing your own warehouse. The International couriers will also be able to create a simple inventory system for you to use that involves no special software and that is accessible 24 hours a day from your main office. Once an order is placed the job of picking and packing is down to the third party couriers who will then ship the products quickly and on time. As you can see the option of outsourcing your stock and shipping to international couriers will provide you with a simple solution, improve your customer service and free up your time that can be spent dealing other aspects of the company such as providing customer service, dealing with paper work, placing orders or advertising. You may be looking at ways of making a new source of income. Many people these days are choosing to work for themselves either as a way to break free from the 9-5 of the rat race, or to bring in some additional income into the home. Whatever your reasons are a great place to start is by setting up your own online shop. During the next five days we will be running a series of blog posts that will help you to become an entrepreneur and give you guidance in how to open and manage your own online store. Owning your own shop might seem like a daunting task but it is surprisingly easy thanks to modern technology. The hardest task can be deciding what you want to sell. You could have a hobby and your own creations or products to buy for less and sell for more. Whatever products you decide upon you will need to follow the next six steps that will transform an idea into a career. You will need a website to act as your shop front. Your customers will be able to browse your products and buy directly. Therefore, the first place to start is buying your domain name. Choose a name that you like and consider opting for a .com as this is good for search engines. The next task is creating your website. If you have little to no experience in creating a website choose a hosted website rather than using your own server. There are many excellent hosts that provide everything you need to create an ecommerce site. You will need to use an ecommerce creation package rather than a hosted blog as the database and scripts need to be in place so all of your products can be listed with ease and purchased using the online check out. When purchasing your hosted site remember to add the details of your purchased domain name when prompted. Once you have found your host you will need to begin working on making your online shop look attractive and appealing to visitors. You can often find lots of themes for your website offered from the ecommerce site hosts, or use your own graphics to customise your site to your preferences. Add information such as your returns policies, contact information and information about your shop and goods on the pages. You will then need to take photos of your images and small videos to upload onto your website. Use a good digital camera and set your products up in a bright space with a plain background. Once you are happy with your images you can upload them one at a time and fill in the information about the product including as much positive information as possible to persuade the buyer. Decide how you are going to store, pack and ship your items. You may find that you need a lot of stock and this can cause problems if you are running your business from your home. Find a reliable and affordable international courier to help you with the shipments and work out the cost of postage and packaging. Include shipping costs on your checkout forms, as your customers will wish to know this information. Once you have completed the website your shop is good to go. You will then need to work on promotion, increasing traffic and wait for the orders to flood in so your profits can start building up in your bank. Return tomorrow for the second instalment in our guide to setting up your online focuses on stock management and your options.